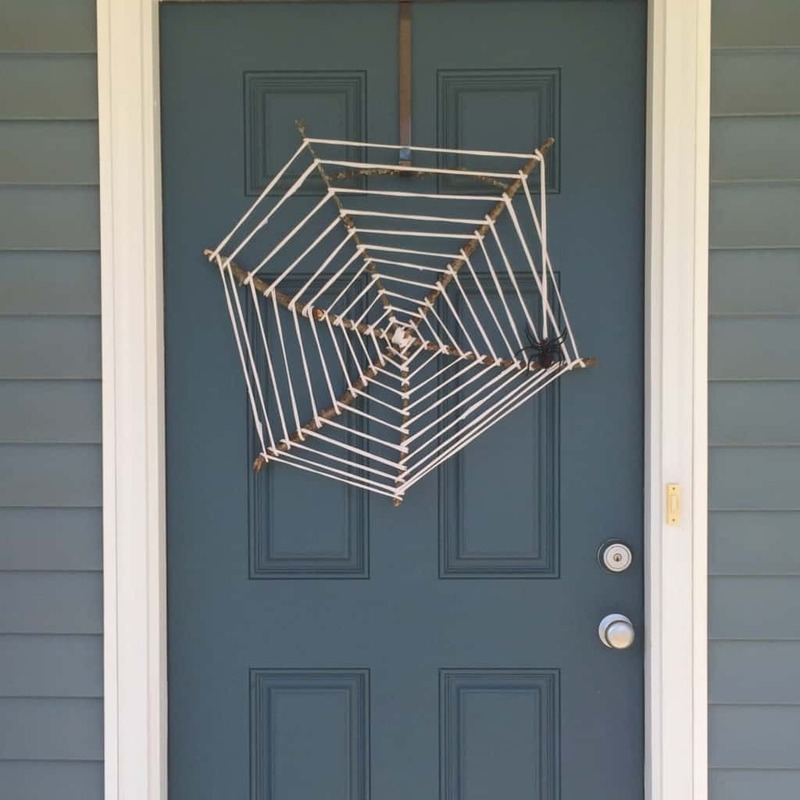 Create this amazing spider web wreath that’s perfect for decorating your front door this Halloween. 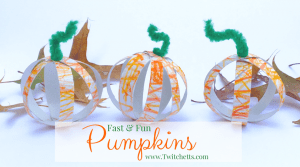 It’s quick to create and uses simple supplies! Check out the whole tutorial and have the cutest door on the block! 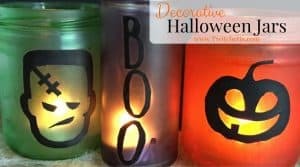 I know, I know, I said that I was done with the Halloween crafts and posts, but I just can’t help myself! I am feeling extremely inspired this year and I have to share with you! 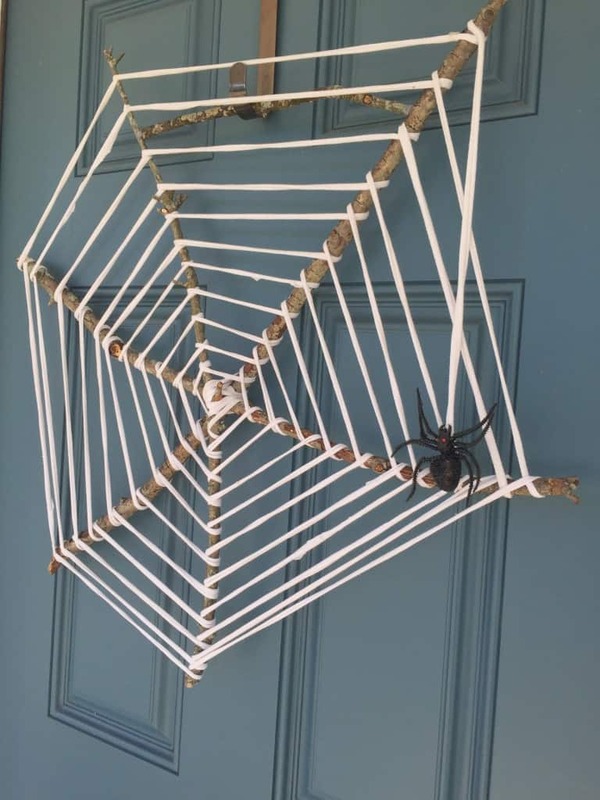 This cute spider web wreath is perfect for creating on your own but easy enough that the kiddos can help you. 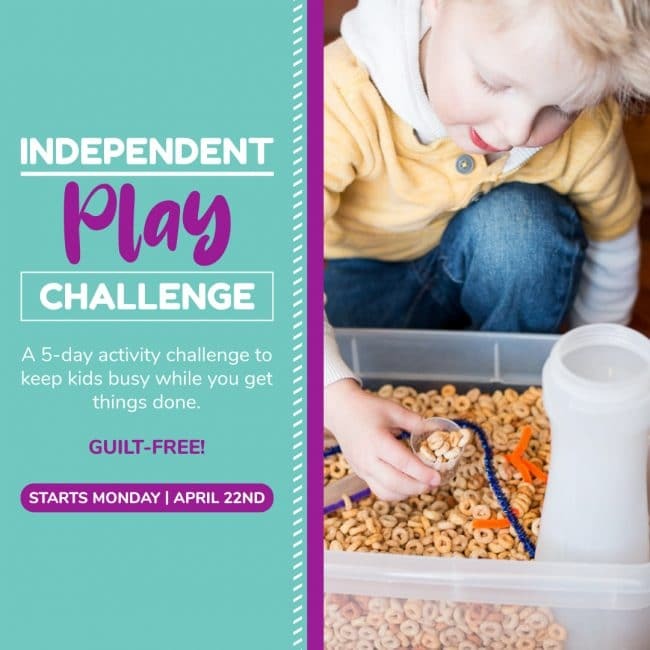 Plus, you don’t have to break the bank by getting a bunch of supplies. 4 sticks. 3 main sticks need to be the same size. No longer than the width of your door. The 4th can be smaller. A ball of t-shirt yarn made from one large white shirt (See how to make t-shirt yarn here). 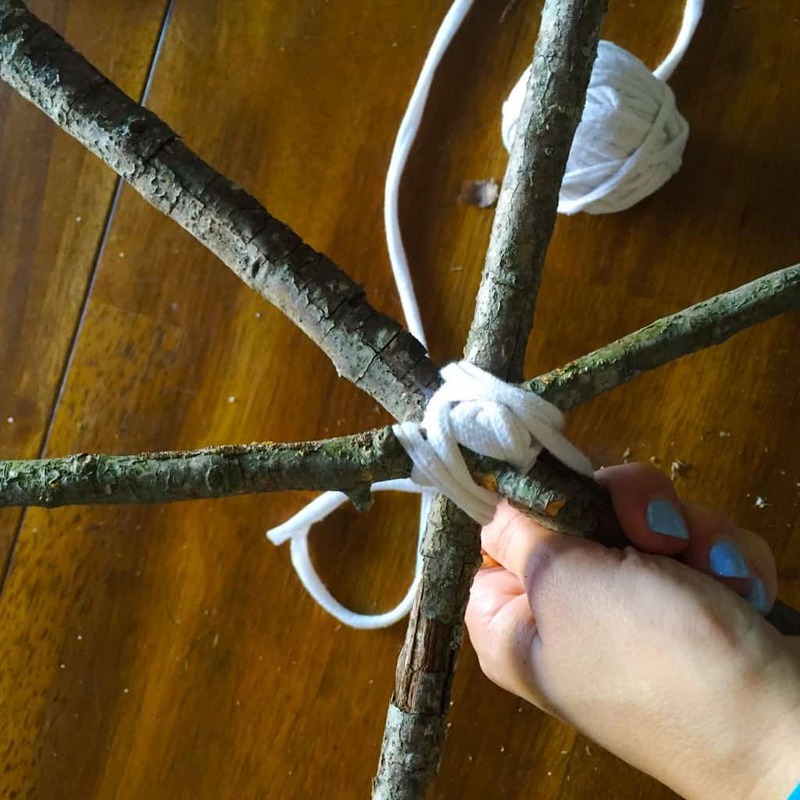 Start by using your hot glue to connect the 3 longer sticks together so they are visually pleasing to you. 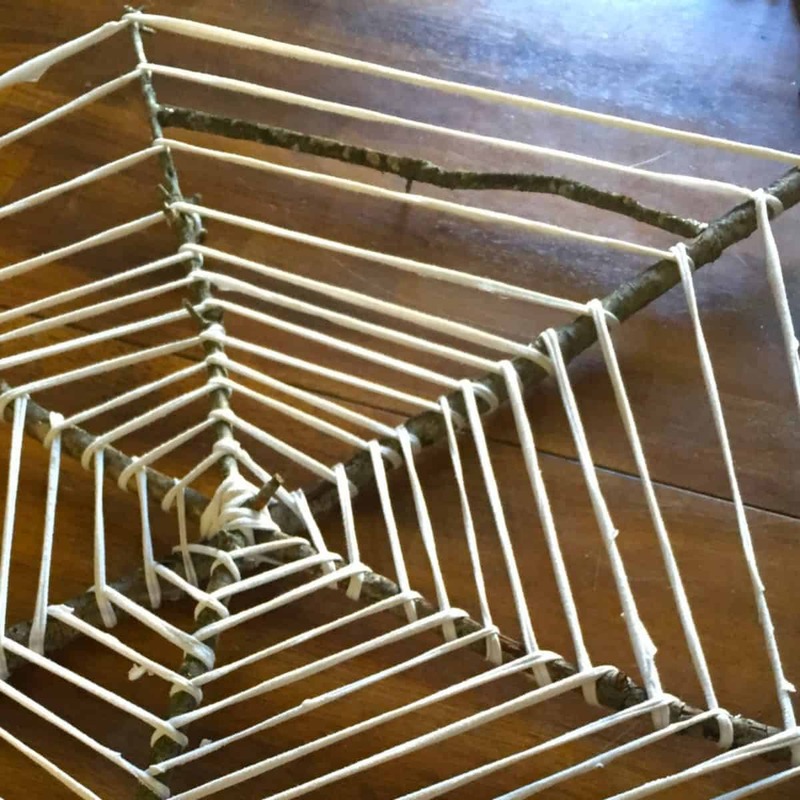 Glue down your t-shirt yarn in the center of your web. Begin by wrapping it around the center a few times. Next start working your way out from the center. 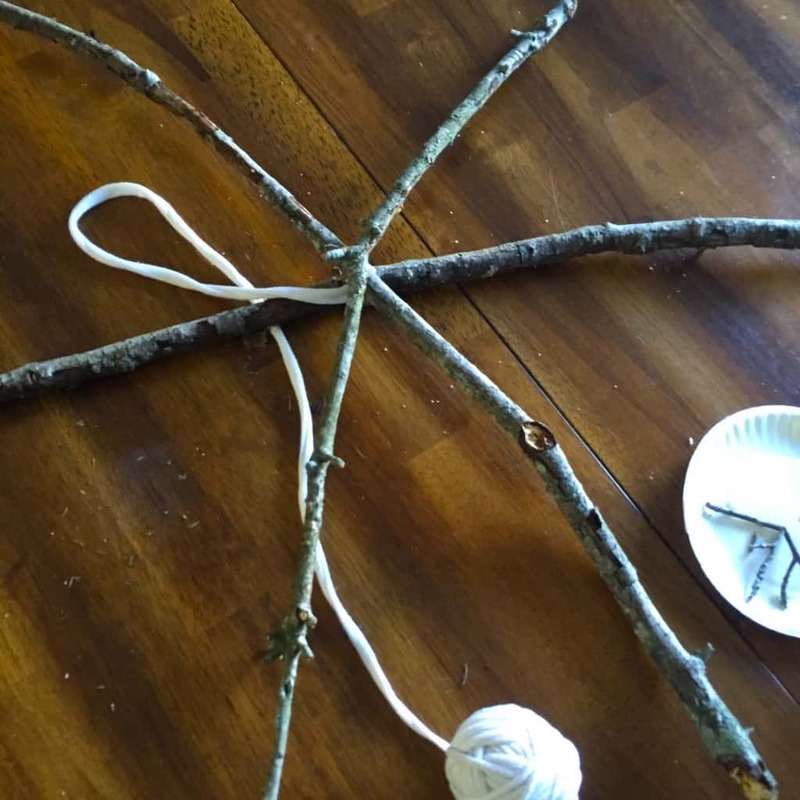 Wrap the yarn Over-Under-Over each stick working your way around the web. Once you get to the outside, secure the end with a little more hot glue. 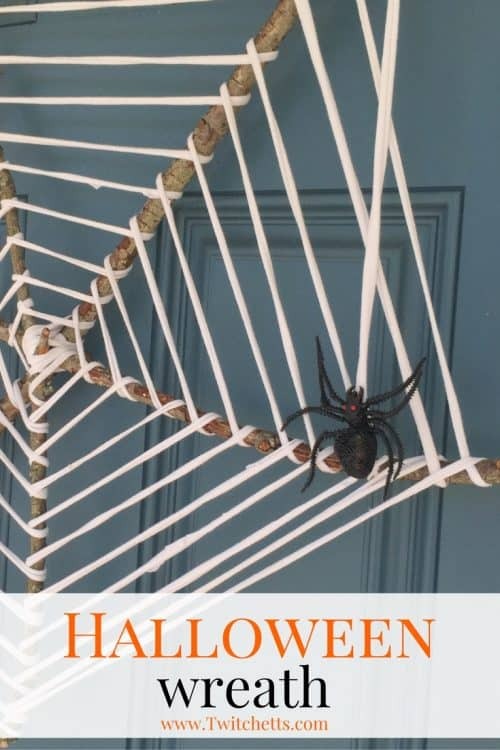 Leave some extra string at the end for the spider to dangle from. Attach your spider with more glue. Take the 4th stick and break to fit along the top. Glue in place. 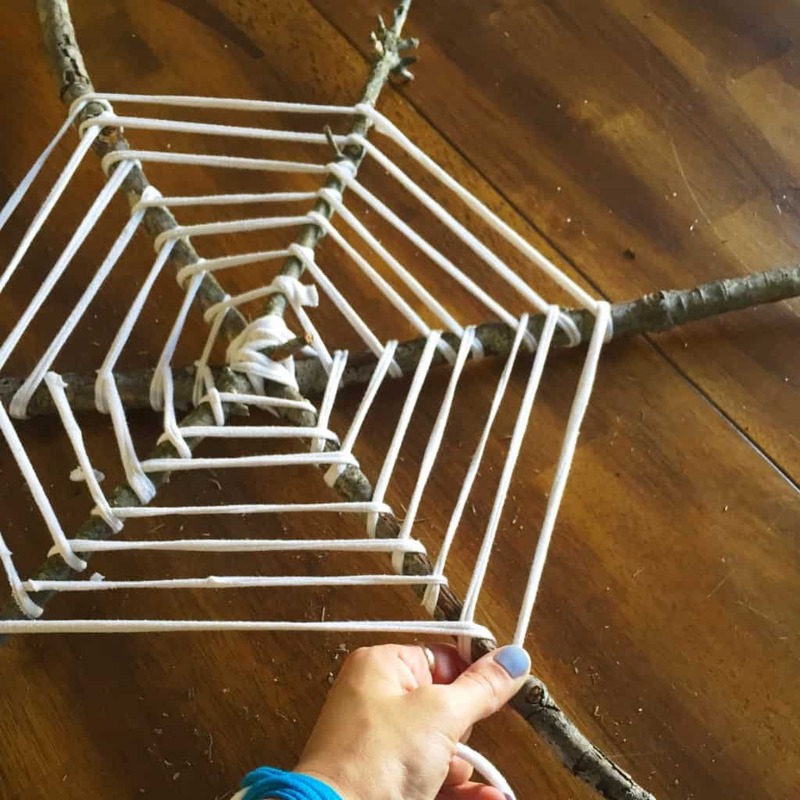 This stick will be used to hang your spider web wreath. 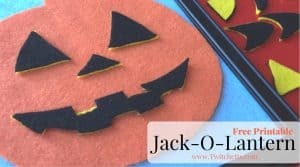 The best thing about this Halloween wreath is if you don’t want to store it who cares! It didn’t take too much time or supplies to make. 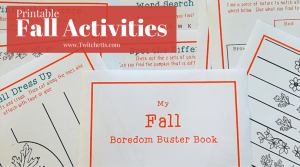 Check out some more fall fun below!